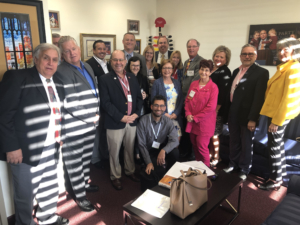 In March 2019, RASM members ventured to Tallahassee, Fla. for Florida REALTORS’s 2019 Great American REALTOR® Days (GARD). 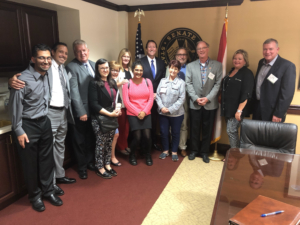 REALTORS® throughout the state met in Florida’s capital to discuss important legislation affecting the real estate industry with their State Senators and Representatives. 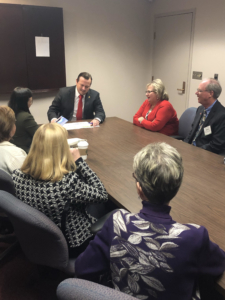 A highlight of the trip was a sit-down meeting between RASM advocates and Florida Senate President, Bill Galvano and our local State Senator, Joe Gruters. Members spoke to our Senators about their legislative priorities for the year, including a push to stop Assignment of Benefits abuse. 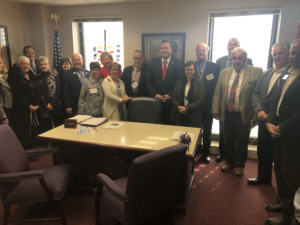 Florida REALTORS® also organized a Legislative Issues Briefing Luncheon with Governor Ron Desantis. 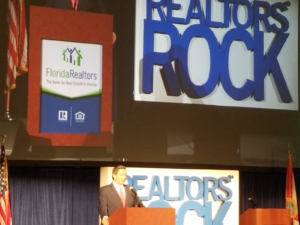 The governor presented to hundreds of REALTOR® members across the state, updating them on his plans to make Florida the most competitive business environment in the country. Preserve Florida’s natural resources. Gov. DeSantis has proposed $625 million for environmental projects this year. This amount of funding would provide a significant boost to Florida’s efforts to protect and preserve its natural resources. Florida REALTORS® supports the governor’s recommendation and include this level of environmental funding in the budget. Fully fund the Housing Trust Funds. Gov. 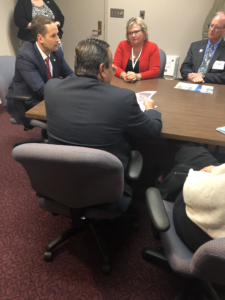 DeSantis is recommending full funding of the State and Local Government Housing Trust Funds. 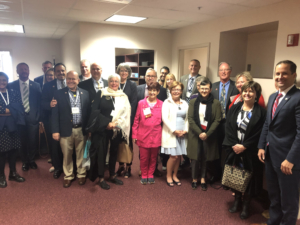 If adopted by the Legislature, $338.4 million would be available to provide hard-working Floridians with downpayment assistance, housing rehabilitation and rental assistance. 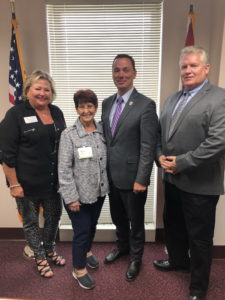 Florida REALTORS® supports the governor’s call and fully fund the Housing Trust Funds to help alleviate Florida’s statewide affordable housing crisis. Implementing remote notary technology in Florida. 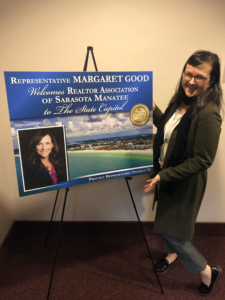 We are calling legislatures to modernize real estate transactions in Florida through remote notaries. 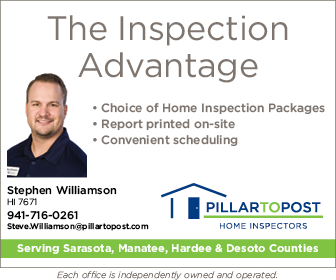 Protecting the homeowner’s ability to rent out their properties. The ability to rent your home is a fundamental property right. Many local governments have enacted ordinances that discourage short-term rentals and infringe on this right. Provide remedies for open and expired permits. 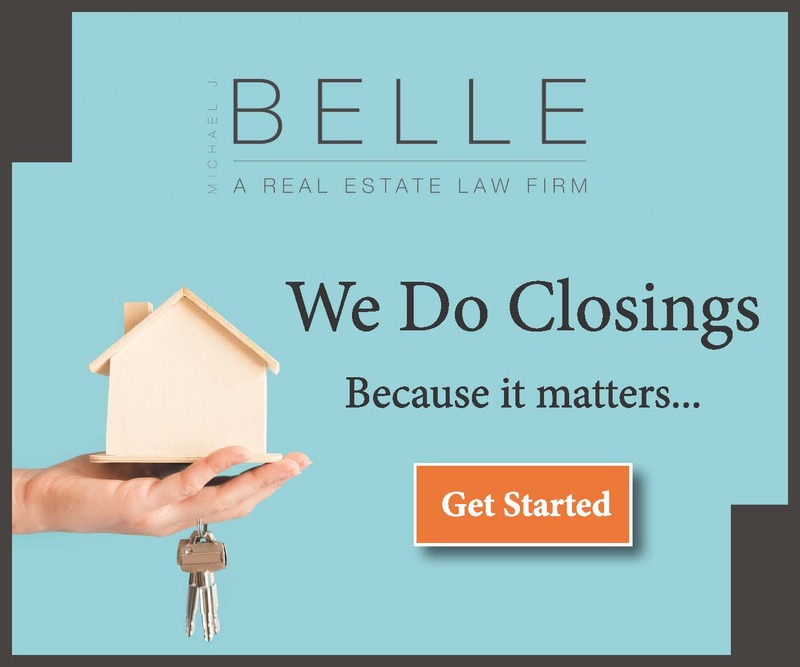 Open and expired permits can delay a real estate closing. 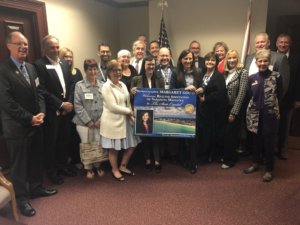 Florida REALTORS® urges lawmakers to provide owners with better options for addressing open and expired permits. Assignment of Benefit Reform. We are urging lawmakers to keep property insurance premiums stable by supporting bills that curb Assignment of Benefits abuse. Continue reducing the Business Rent Tax so businesses and communities can grow. Make sure flood insurance maps are accurate by continuing to fund 3D mapmaking technology called LIDAR (Light Detection And Ranging). 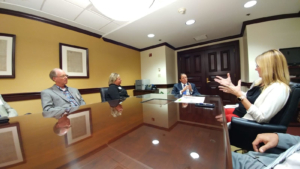 The 2019 event proved to be successful in securing relationships with our representatives. After hearing from our elected officials, we were reminded that much of our interests are aligned. 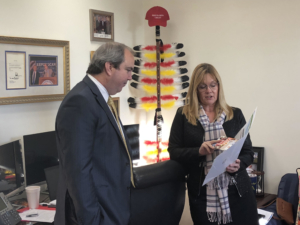 Our officials expressed their confidence in accomplishing legislation to help our economy and continue to make this area an environment where businesses and homeowners can thrive.